In 1896, Senior’s first Curaçao liqueur was distilled, bottled and sold commercially. It wasn’t until the 1960’s that we started adding colors to our Curaçao liqueurs. Although we produce 4 different colors (orange, red, green and blue), it was the blue color that gained notability worldwide. The origin of Blue Curaçao and the other colors still remains somewhat of a mystery. But, how do you make a Blue Curaçao Liqueur? Let us tell you how we make our version of the Blue Curaçao. Curaçao (the Caribbean island) produces the raw fruit and an essential ingredient for the Blue Curaçao Liqueur: the Laraha orange. A genuine Curaçao Liqueur, like our Senior’s Blue Curaçao, needs to be made with the peels of that Laraha orange. Actually, Senior is the only brand in the world that produces a Blue Curaçao with a Laraha orange. After harvesting the Laraha and peeling it into 4 pieces, they are then sun dried for 5 days. Afterwards, the orange peels are put into a gunny bag, where spices and herbs are added. Different brands follow different recipes. Each brand creates their own blend of spices and orange peels. One common ingredient that all brands use is sugar because the most important characteristic of a liqueur is the sweetness thereof. After adding the spices, we hang the gunny bags in a heated copper kettle still with 96% ethyl (kosher) alcohol for 3 days. We cool the mixture for 1 day and add water to it and distill for another 3 days. Please note that not all Blue Curaçaos you will find for sale are distilled. Most will be a mix of alcohol and a taste, which is a faster, cheaper process, but with less quality, of course. A ‘regular’ Curaçao liqueur is sometimes made with brandy based alcohol. For a Blue Curaçao, this is too strong as it will influence the balance of a cocktail too much. Most Blue Curaçaos will be made with sugar cane based alcohol. Also, Blue Curaçaos tend to have a lower alcohol percentage, between 20-25% (‘regular’ Curaçaos go 40% and up). The Senior Genuine Blue Curaçao has a slightly higher alcohol percentage than other brands and is 31%. The end result of the distilling process is a clear Curaçao liqueur and serves as the base for the other colored liqueurs. The specific color is reached by adding food coloring to the Curaçao liqueur. To make the Blue Curaçao, and give it the distinctive blue hue, food coloring has to be mixed with the liqueur and subsequently filtered. Commercially, the particular color of the Blue Curaçao is known as FD&C Blue No. 1 (or Brilliant Blue). It’s an organic compound that is chemically constructed in a lab and this type of process doesn’t pose any kosher concerns. This organic dye is often used in food, like ice cream and sweets, but sometimes can also be used in cosmetic products like mouthwash. The different organic compounds undergo a synthetic process, which causes a certain chemical reaction to create the blue coloring powder. We buy the powder directly from our supplier. Aside from synthetic organic food dye, there are also natural—but very rare—food coloring options like using Blue Hibiscus, Butterfly Pea Flower or Indigo. The Indigo, which is a plant that also grows on Curaçao, creates a blue color that resembles more of the FD&C Blue No. 2. The Blue Hibiscus and Butterfly Pea Flower are natural blue food dye, but when adding acid it will turn purple. Another problem with natural food coloring is that it fades faster than synthetic dye. Liquid natural food coloring can fade in a matter of months when exposed to certain environmental conditions or direct sunlight. Does food coloring affect the taste of Blue Curaçao? In our liqueur, you won’t be able to taste the food coloring. The amount of food coloring we use in our liqueur is so little that it does not affect the rich orange taste of our Senior Curaçao Liqueurs. 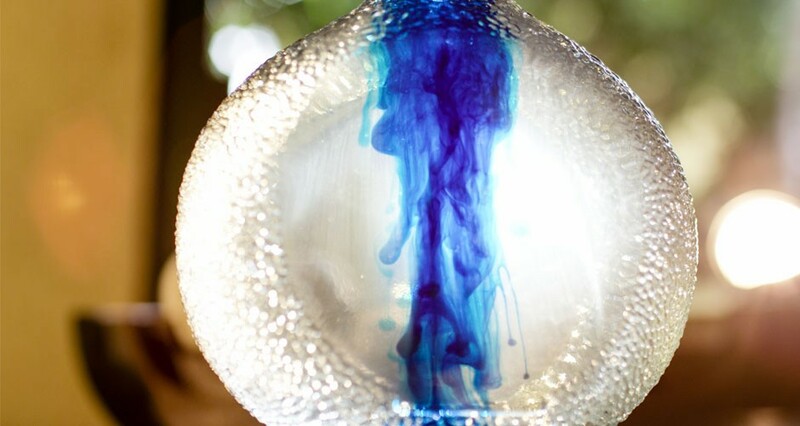 Only when a lot of food coloring is added or tasted in its purest form, it will impact the taste of a food or liqueur by making it more bitter.